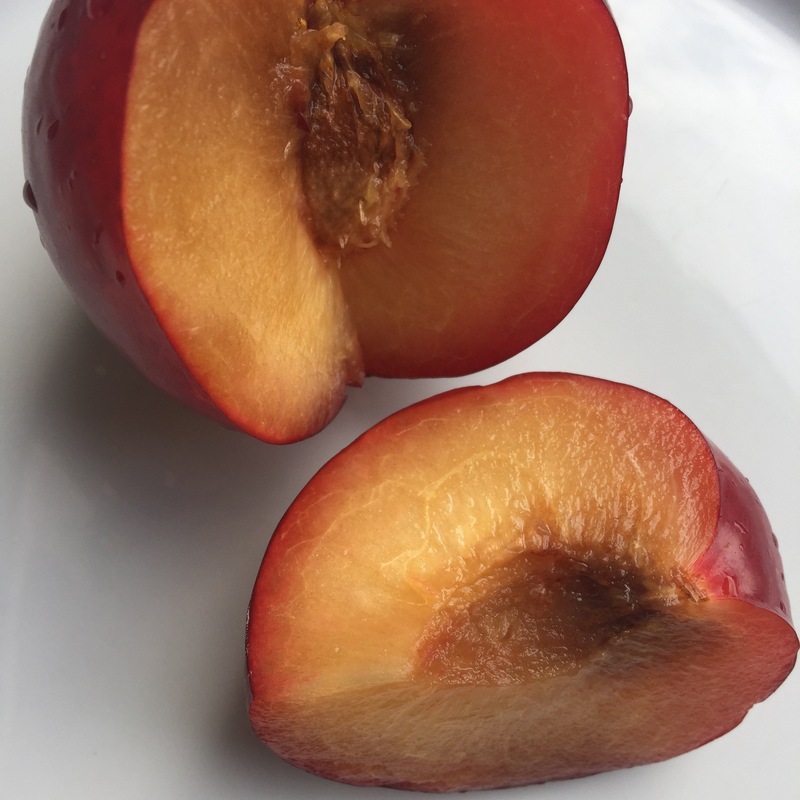 As I am trying to figure out what (if any) foods have been triggering my allergies, and then trying to improve my general well-being, I am looking at eating healthier overall. 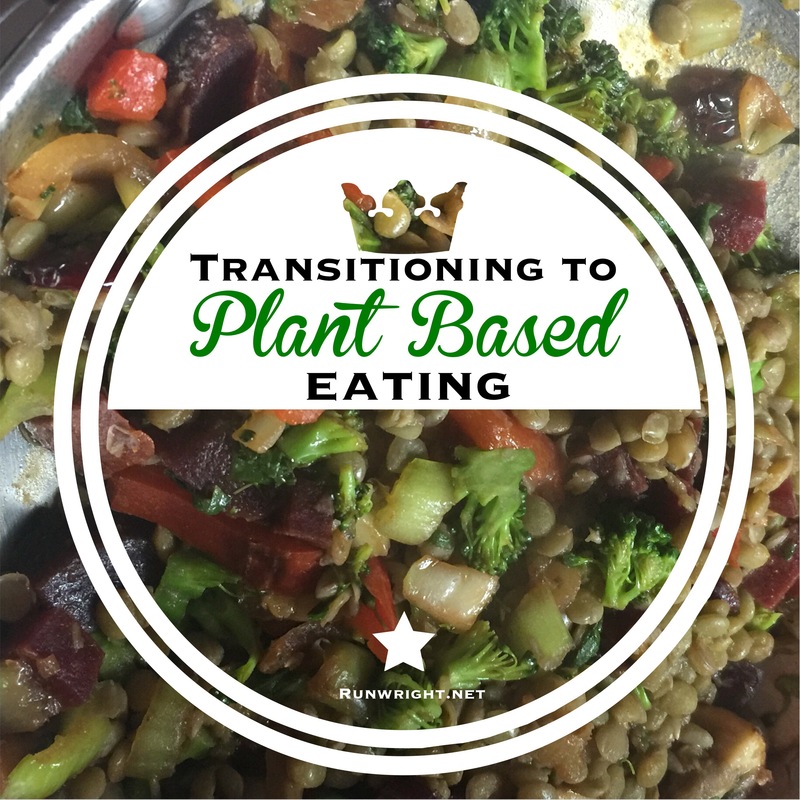 Last week, I treated myself to some delicious, wholesome, healthy, mostly plant-based home-cooked meals. 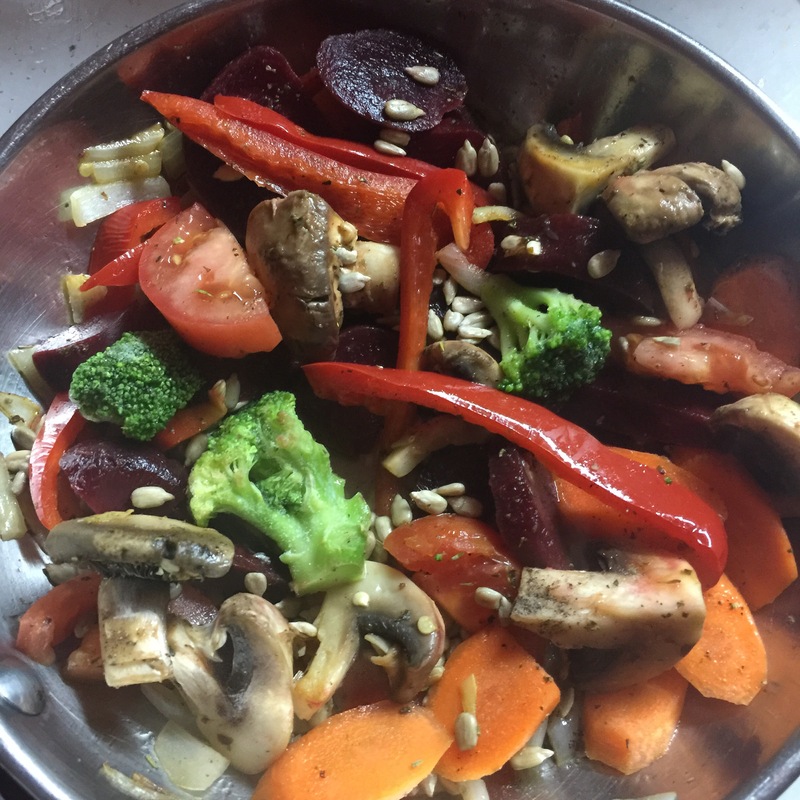 Dinner one evening was a vegetable medley stir fry – onions, tomatoes, beets, mushroom, carrot, broccoli, red pepper, tossed with coconut oil, raw sunflower seeds sprinkled on top. I planned to eat it over barley but the barley didn’t soak in time and I figured I really didn’t need any other starch anyway. Breakfast one morning consisted of a fried egg with more stir-fry vegetables. 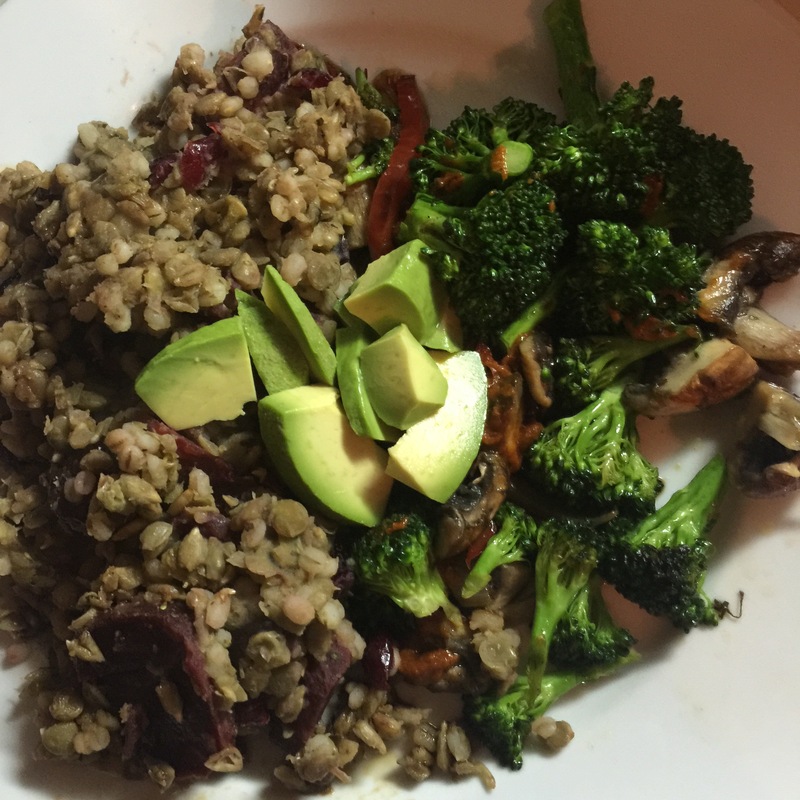 Another evening, another dinner, this time consisting of barley with legumes, beets, cranberries and sunflower seeds served with broccoli and mushroom stir fry and a slice of avocado. Not the prettiest meal but it may be the most delicious. In fact, I think it was the best thing I ate last week. But I also had some Terra chips with hummus. These chips have mostly natural ingredients with few chemical additives. But overall, the chips was just my healthy option to satisfy a craving. I have lots of other fruits to indulge in without having to go there but… sometimes you just want something from a bag and this might be the best alternative. 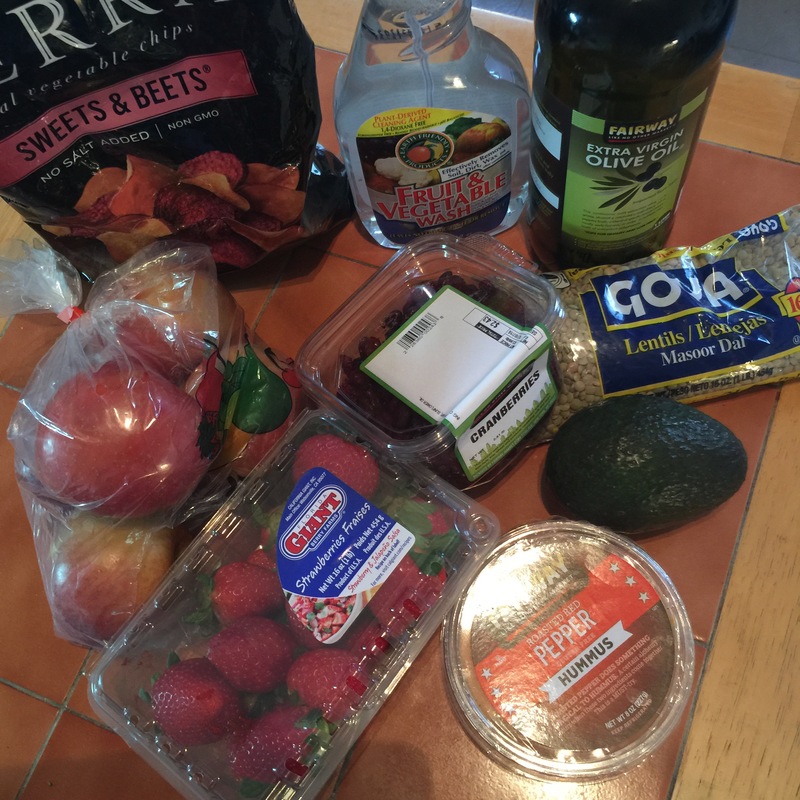 Above and below, is what my grocery haul looks like these days. 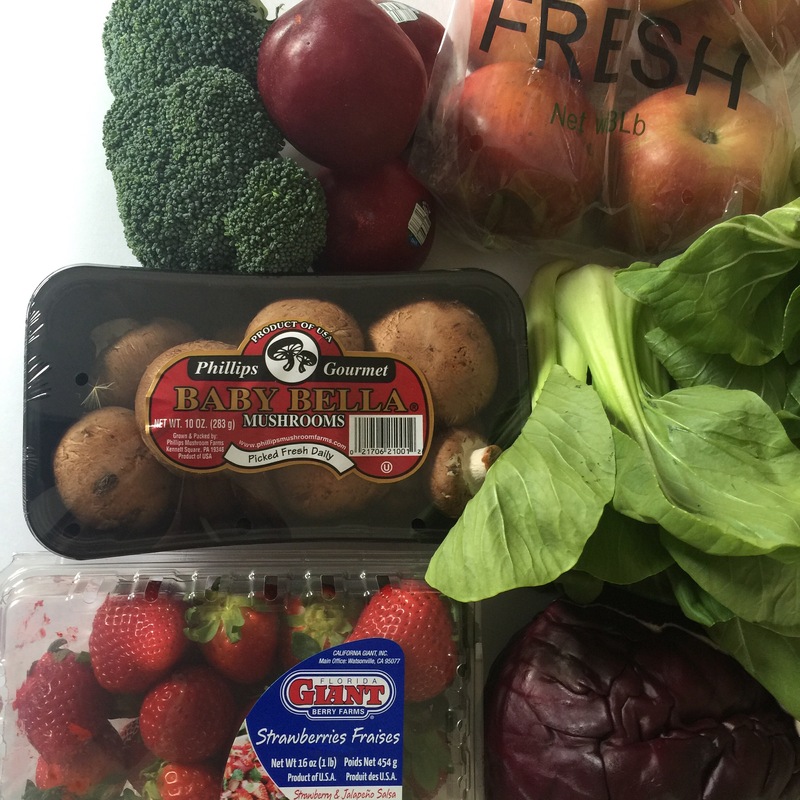 I stop at the supermarket more often because fresh fruits don’t last as long in the kitchen as processed foods – but that’s a good thing. I’m trying to make a change. 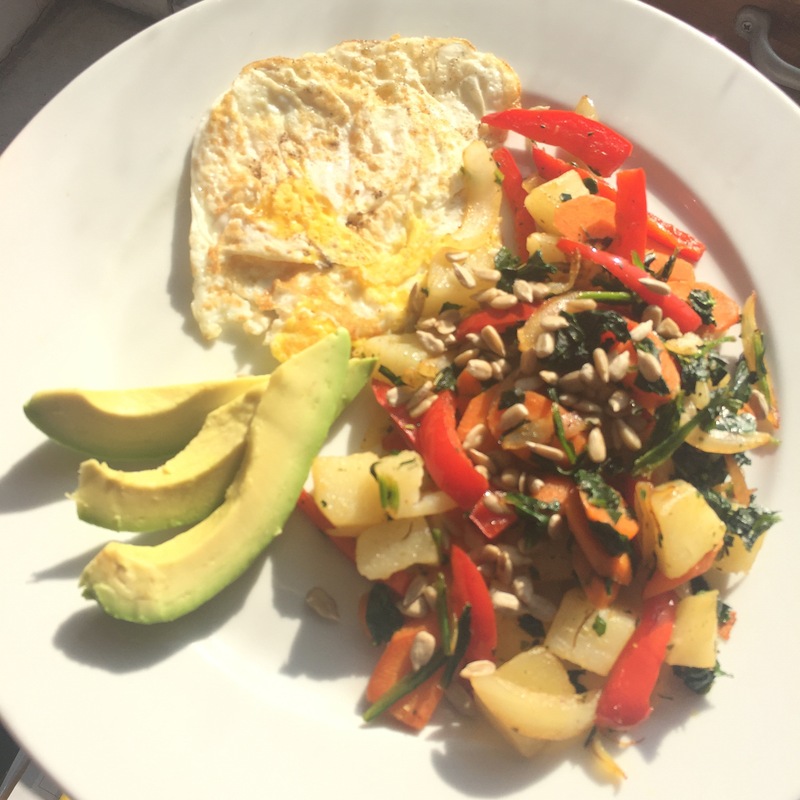 I’m already feeling a difference in my body; I’m not a vegetarian but plant-based foods is how I am treating my body – lots of fresh fruit and vegetables, lots of raw nuts, lots of lentils. Don’t let anybody tell you lentil stew isn’t one of the best foods out there. Remember in the Bible when Esau sold his birthright to his brother for a bowl of lentil stew? Genesis 25:30-34 Have you ever heard anyone sell their birthright for a piece of fried chicken? No, right? Enough said. I want to keep this plan going until I reset my body and get back to optimal health. After that, I’ll reevaluate what I need to move forward. What was the best thing you ate last week? Such a great idea! I went vegetarian for 21 days at the beginning of the year and it was totally eye-opening for me! I still love meat, but I definitely incorporate a LOT more fruits and veggies these days! Good luck with your transition! Healthier eating never hurt anyone right! 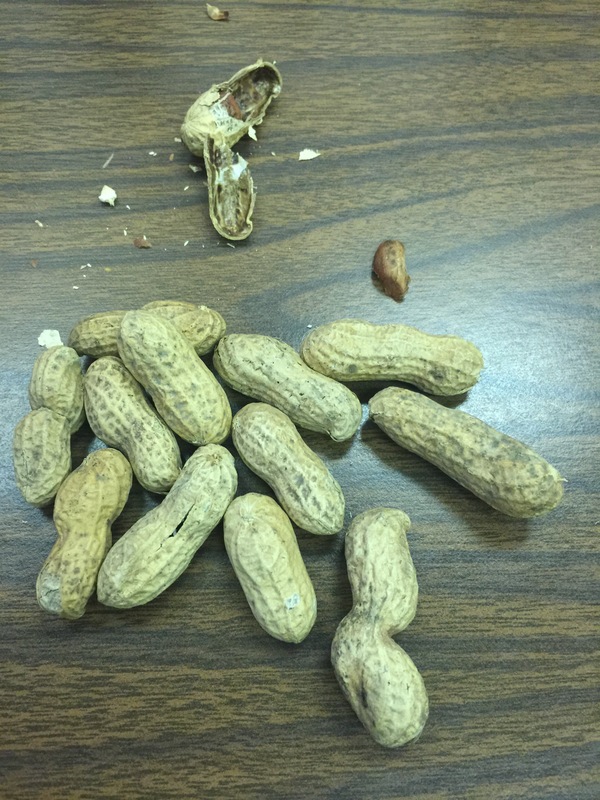 If it helps you fix your allergy problem then even better! I have been doing okay with eating lately, but I know I need to add more green’s and fruits to my diet, this is a great reminder of that. That’s awesome. I did a 21 day vegan kickstart 5 plus years ago and felt so good I never went back to my old way of eating. Good luck with this…can’t wait to hear your thoughts.